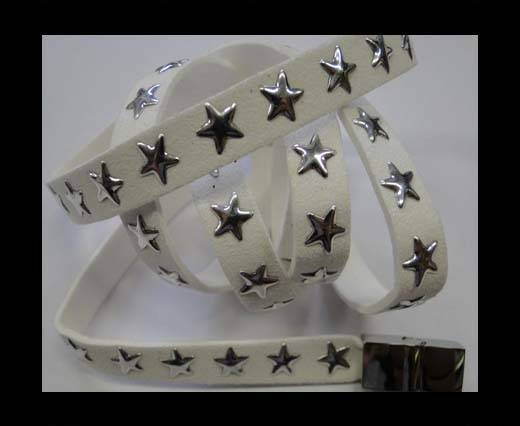 High quality eco leather in suede with heart shaped studs attached on it! 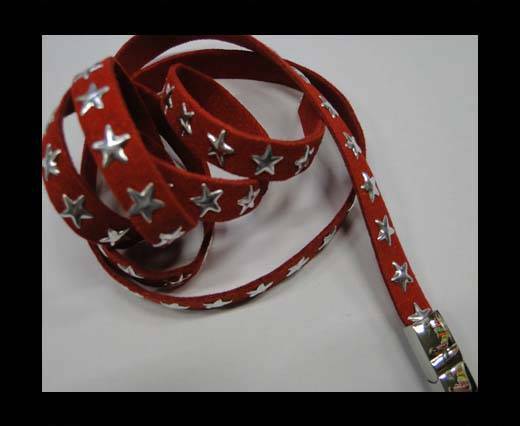 The suede cords can be easily used with our stainless steel locks, findings in steel and silver plated locks to create bracelets in different styles. 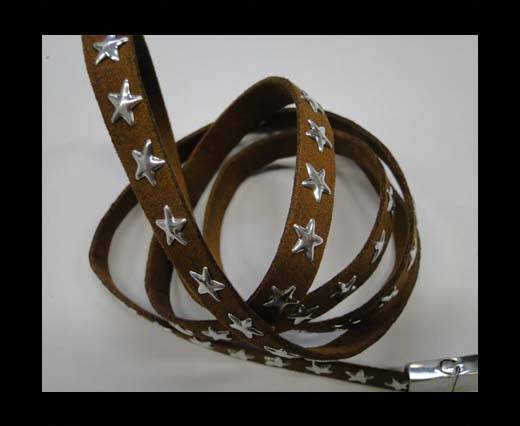 Another way of using studded leather is in combination with other styles of leather (braided, leather cords, etc), suede cords, silk & hair-on. 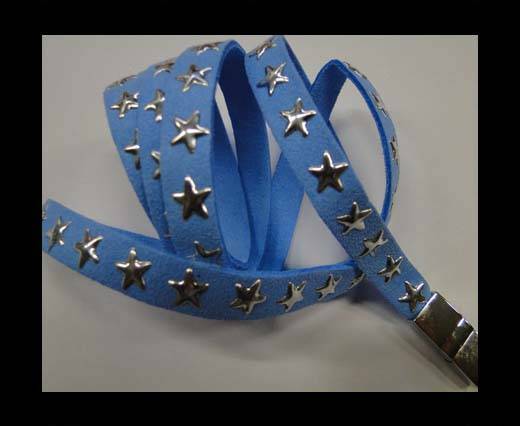 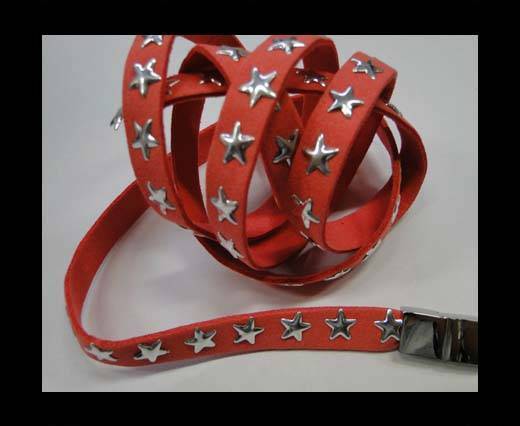 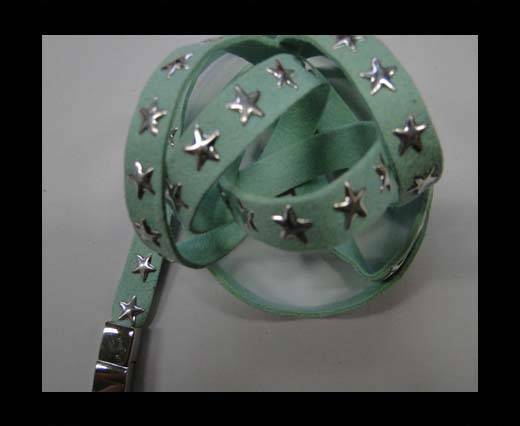 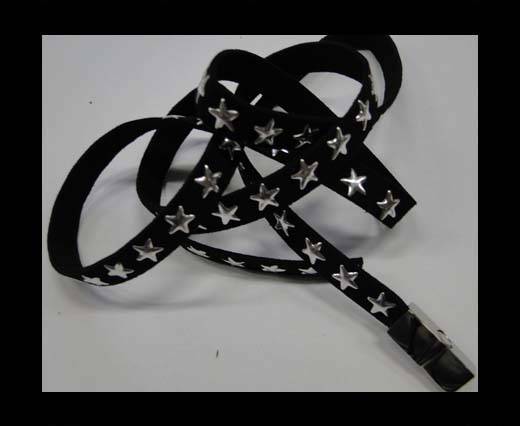 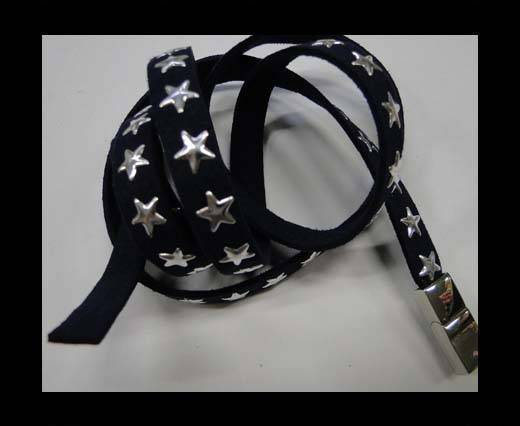 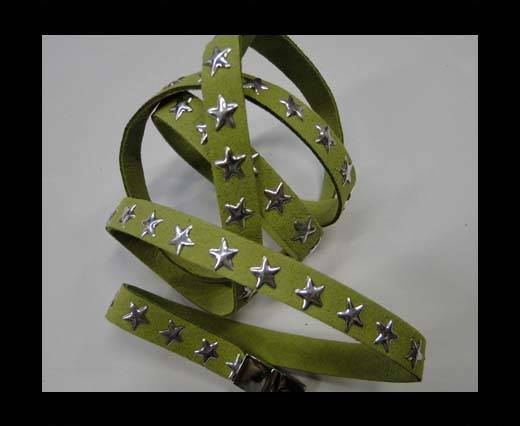 The eco suede leather is of finest quality and with design enriched with metal studs in a star shape. 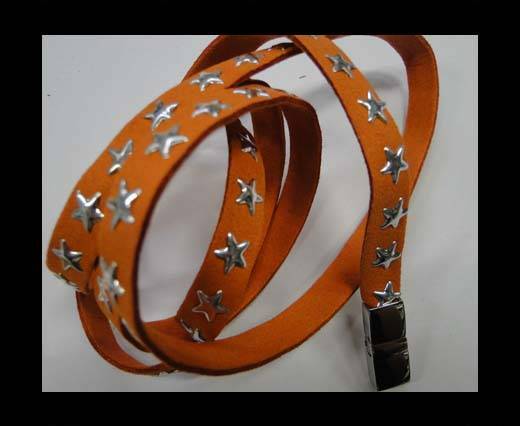 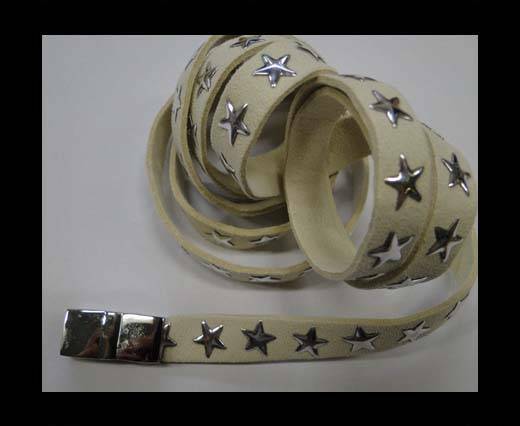 The leather is soft and it is easy to handle in production and jewelry making.